After back from Bangkok, I miss travelling even more. I wish I can travel to more places within one year but I have a full time job to attend, so it's kinda impossible for me to enjoy travel with a longer period. Therefore, I really cherish all my travel moments. 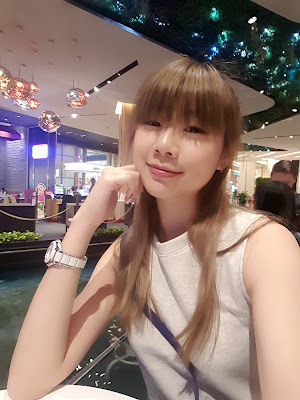 This Bangkok trip was quite special because I went there with one of my colleague who are also my best friend (although my boyfriend joined in halfway...lol.). I seldom travel with friend actually, especially with only one friend, so it's kinda new for me but I was having so much fun because I could shop more since I have a friend next to me during this trip. Must bring a girl's bestie if you are planning to go Bangkok because you can shop more with cheaper price and shop even more because you save more money from all your purchase with the wholesale price. *Note: We did not draft any itinerary for this trip because my friend was so familiar with Bangkok, lol. Basically, we just went to any places that we felt like wanted to go. Hope you all like my Travel Vlog. *Note again: If you know how to use GRAB Car there, please use the app because sometimes it's cheaper and it's definitely more convenient to travel around in Bangkok.